Peer-to-peer (P2P) systems enable users to build individual and cooperating autonomous communities. 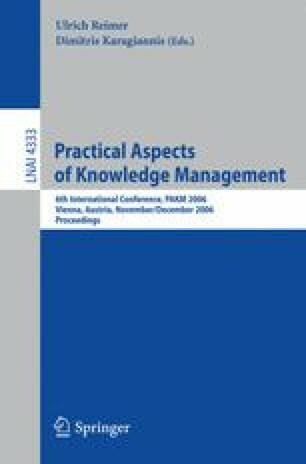 Recently the peer-to-peer paradigm has been proposed as a technological support for Distributed Knowledge Management (DKM). DKM solutions allow an easy sharing of knowledge created by Individual Knowledge Workers (IKWs) inside communities. In such dynamic environments peers can frequently join or leave the network and update their personal knowledge bases. In today’s ubiquitous information society where users need to continue to work at any time from everywhere it is becoming very important to support IKWs with semantic “always on” virtual workspaces providing multi-task and knowledge handling capabilities. This paper presents a semantic virtual office model and its JXTA implementation in the K-link+ system. K-link+ is an ontology based P2P system for cooperative work and knowledge management that provide users with virtual office capabilities.